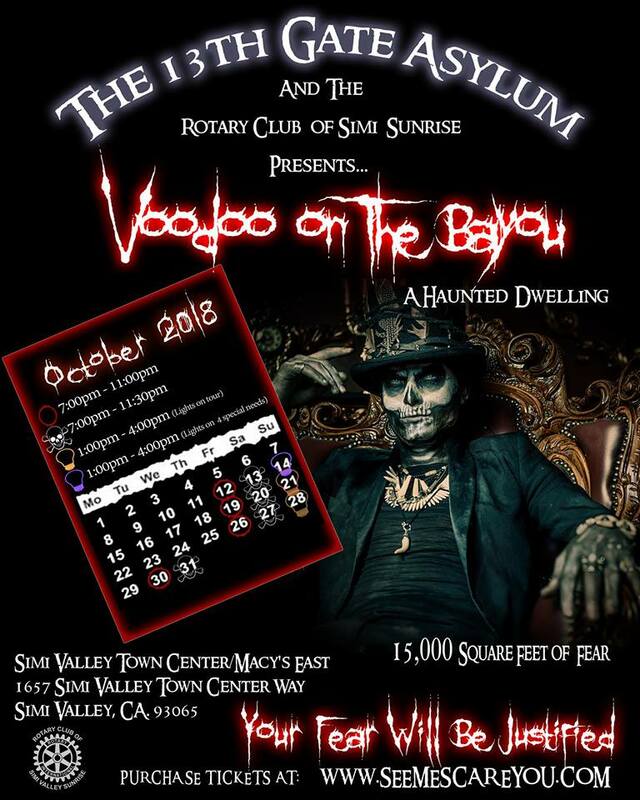 After several years on hiatus, the 13th Gate Asylum: A Haunted Dwelling returns in new form and in a new location, joining forces with the Simi Sunrise Rotary Club to bring a 15,000 square foot haunt to the Simi Valley Town Center. The theme is Voodoo on the Bayou. There will be three non-scare presentations on Sunday afternoons. October 14 is reserved for visitors with special needs. October 21 and 28 will be tailored for children and less courageous adults. Recommended for ages 13 and over. Children under 13 must be accompanied by parent. 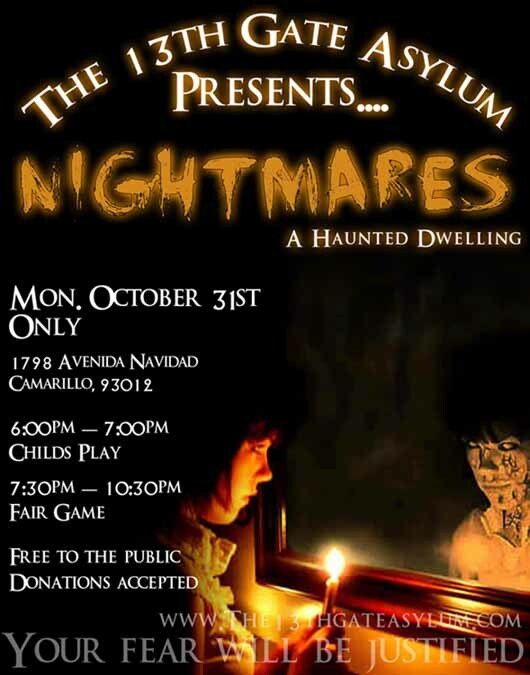 For many years, the 13th Gate Asylum: A Haunted Dwelling offered a free, amateur Halloween haunt in Camarillo, with a cast of 30 members, featuring a new theme and a reconfigured walk-through maze every season: Carn-Evil (2009), The Haunted Forest (2010), Nightmares (2011). After 2011, The 13th Gate Asylum moved to a new location and went on hiatus for 2012, with a promise to return in 2013 - a promise that did not materialize. After missing several other Halloweens, 13th Gate Asylum eventually revived in new form for Halloween 2018.